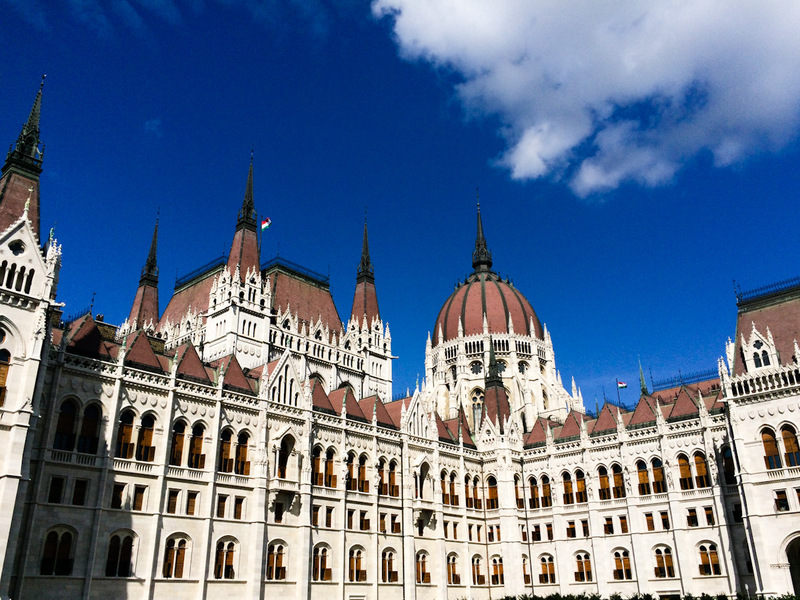 We will miss your pretty face, Budapest! 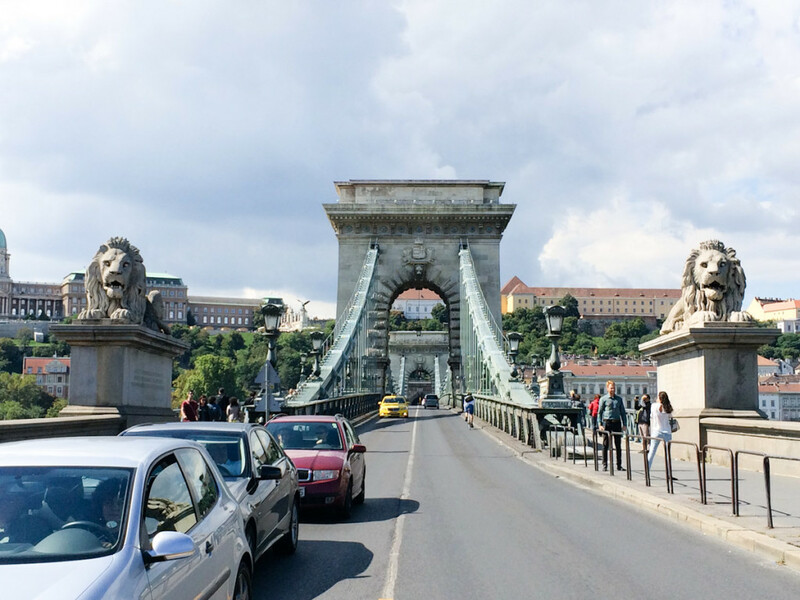 The day has come to pack our bags, load the car, and take one last stroll in the beautiful streets of Budapest. The sun is shining brightly and the sky is the perfect shade of blue with patches of clouds dispersed all over the blue canvas. Just the day I love! Our first obligatory stop is the Parliament of course. I cannot tire from looking at this pretty view. We reach the Parliament in the midst of a big commotion and a cheering crowd. With a bit of disappointment we quickly realise that the commotion has nothing to do with us approaching the scene, rather its sole cause is the changing of the guards! Ah what a shame… But hey why don’t we make use of the moment and join the bandwagon. 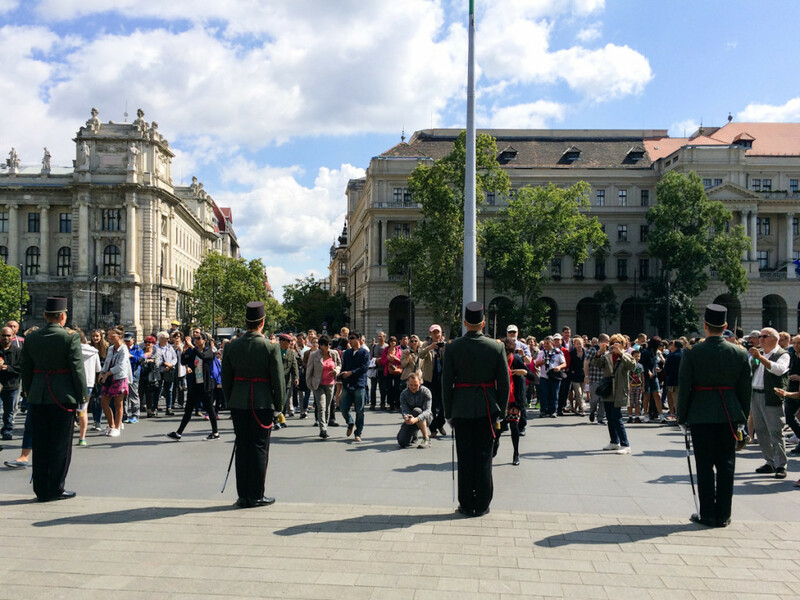 By the time the guards in khaki uniforms follow their commander’s orders and do the well-rehearsed march, a huge crowd has gathered in the big square. We leave the guard meet and greet to try out another exciting adrenalin-packed adventure – ride on the cute little yellow trams of Budapest! Reporting live from Budapest’s cute little yellow tram. 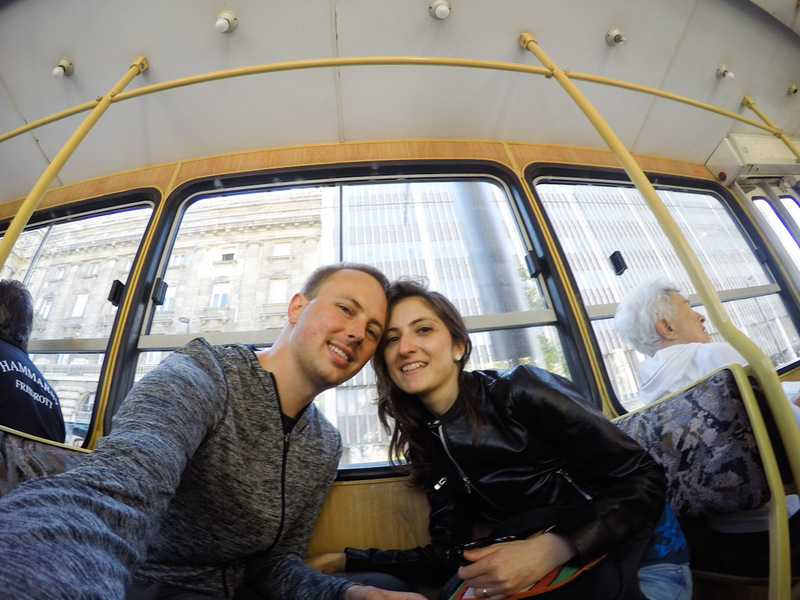 Needless to say, the speed of the tram wasn’t what made our ride exhilarating, rather it was the sight of Budapest’s postcard-perfect streets and the riviera coming into view one after the other. We hop off the tram by the Chain Bridge. 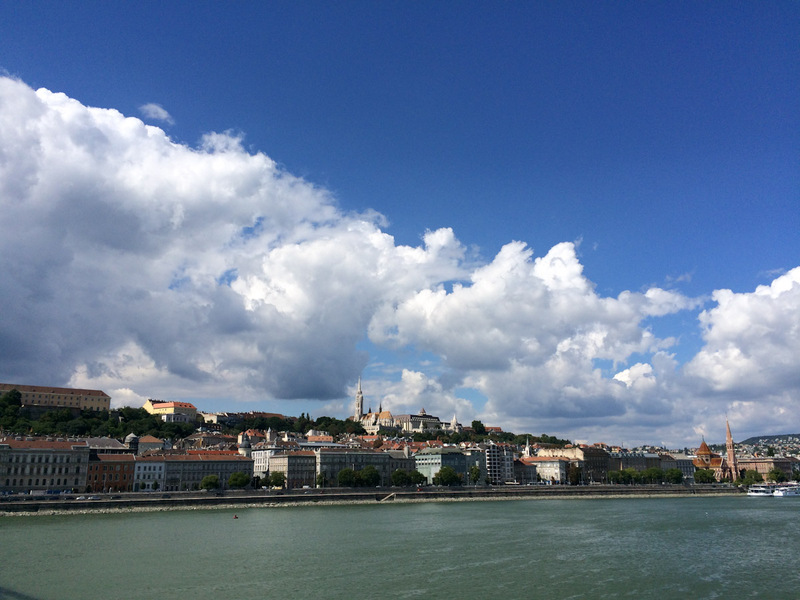 It is time to bid farewell to pretty Budapest and hit the road again. 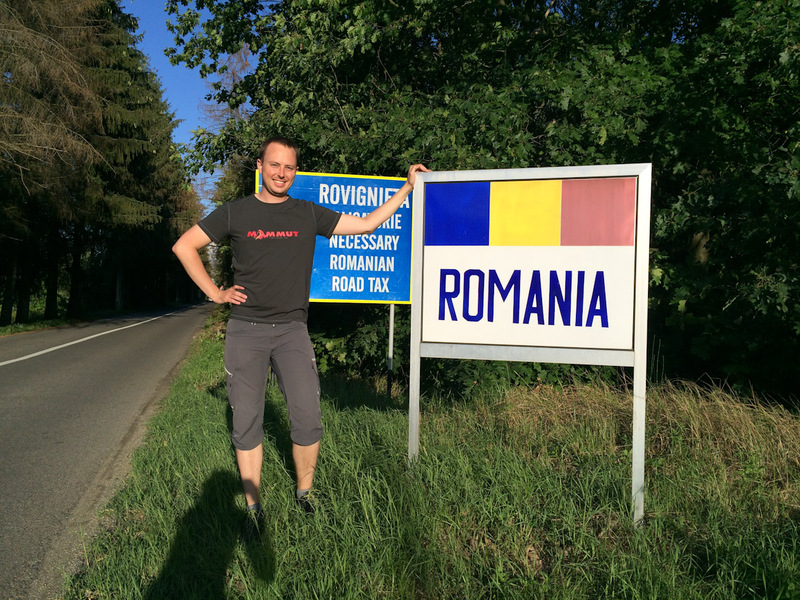 Our next destination will bring us to another country – the land of vampires, aka Romania. 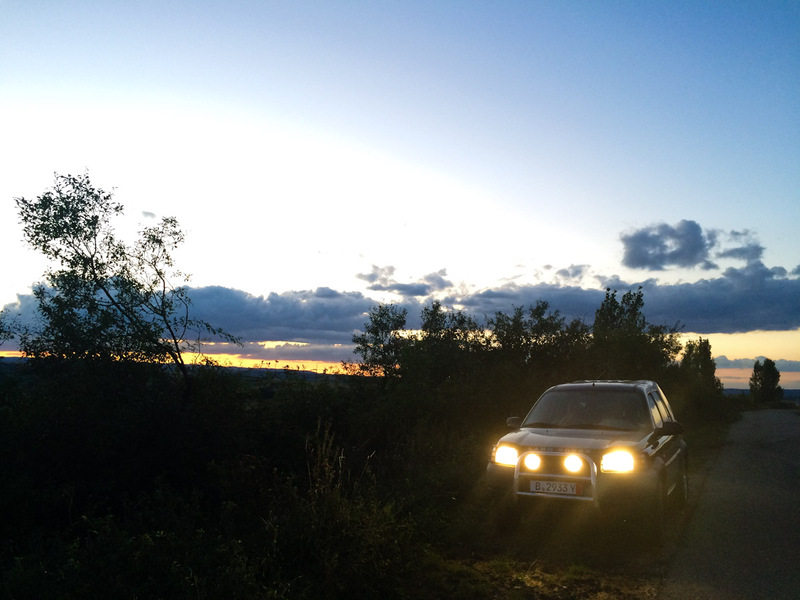 There are some 200 km of Hungarian countryside to cover before we reach our favourite activity of crossing borders. So off we go! The long stretches of driving are necessary to get us to our end destination, however they tend to become quite boring after hours of sitting in the car and gazing out the window. This is strictly the passenger’s point of view, and I am quite a demanding and impatient passenger when it comes to long drives. Andreas, the driver, never complains. Just from time to time he needs a bit of muscle stretching. So for the purposes of taking a break (better read, to give some excitement to the demanding passenger), we take a small detour from the highway to continue our drive through the Hortobagy National Park. 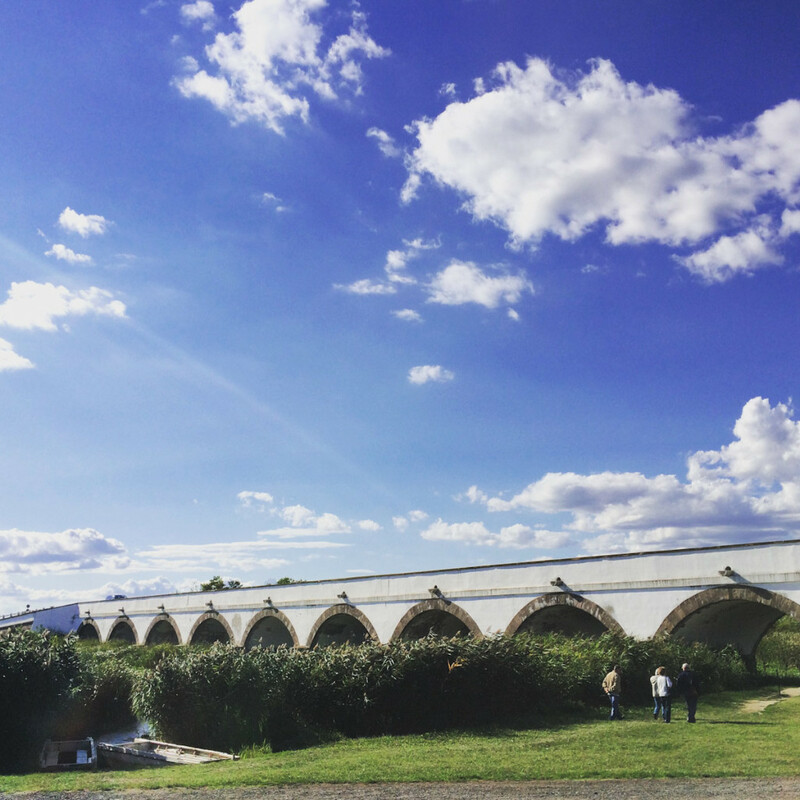 The crown jewel of the national park is this old bridge dubbed Nine-Hole Bridge spanning across Hortobagy river. Oh the passenger is now on full alert as we drive through beautiful, wide plains, passing by grazing animals and long, long stretches of open road. Stunning scenery! Crossing a few more kilometers and waving good-bye to cute straw figures on our road, we finally reach the Romanian border! Ciao Hungary! You have been a real treat. Hello Romania, country #5! Excited to explore what you have up your sleeve for us. A mandatory picture snapped by the border control. Another flag, another combination of three stripes, another hour spent on the border, stamps leaving their ink traces in our passports, brief exchange of greetings with the guards, a receipt for the road tax, and we are finally ready to continue our trip driving on the same stretch of asphalt dividing the two EU member countries. That little stretch of asphalt that seemed rather smooth and similar to the Hungarian standards very quickly proved to be a bitter deception. A few kms in on the Romanian roads the driving habits suddenly changed, turning into rules are there to be broken principle, the smooth asphalt got replaced by big holes eventually turning to dusty narrow roads, horse wagons became a common sight, and as if this wasn’t an experience enough, ladies of a certain, ancient profession, started lining up the roads! I certainly hope this last criteria was not why Google Maps suggested this route as a better option! Not exactly what we had in mind when we drove away from lovely Budapest earlier in the day. Oh well! Adventure is what we are after, so Romania bring it on. 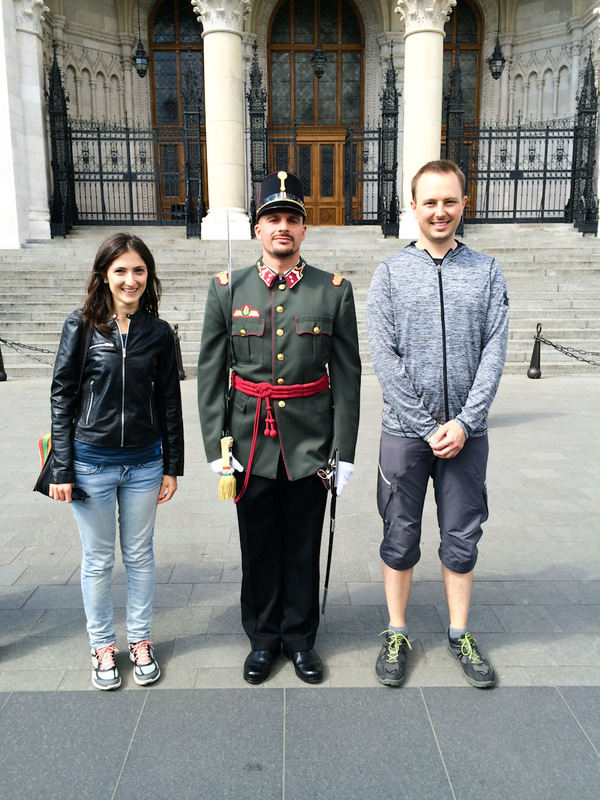 A beautiful welcome to Romania! Thank you. As if to apologise for the offroad driving inconvenience, the nature sent us the most gorgeous sunset setting the sky on fire. Well done, apologies accepted. 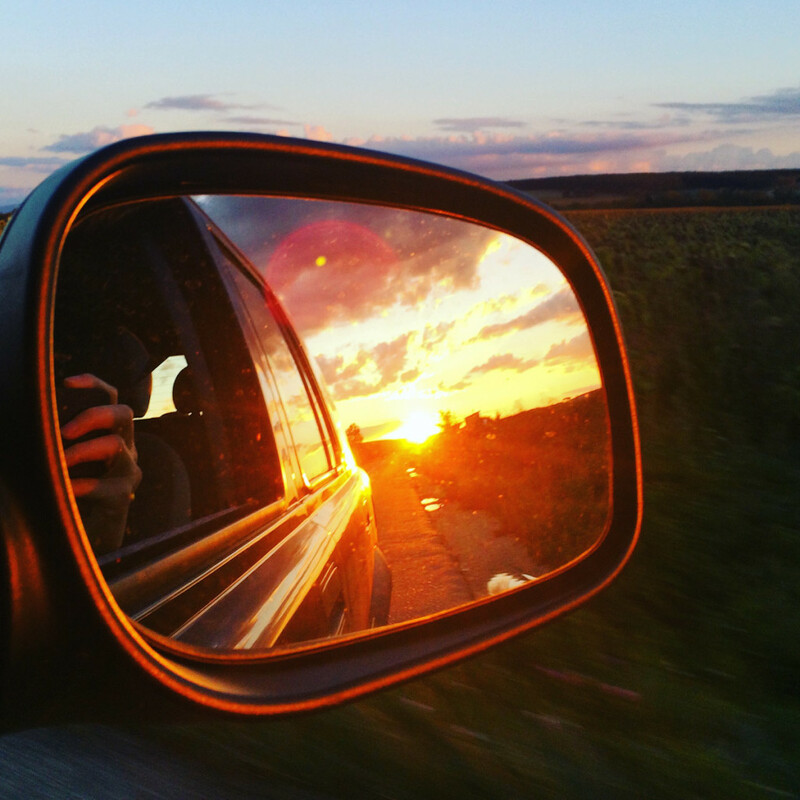 So on we drive towards our home for the night – Cluj-Napoca, blindly following the Google Maps and its biased route suggestion, waving good-bye to the setting sun. We carry on through the dust, through the holes, on and on stopping occasionally to do a little impromptu photoshoot for our sweet Rover. Doesn’t he look just stunning? An hour more of driving… It’s pitch black, the dusty roads and occasional villages lining up the road have long disappeared, we are now driving through a forest in complete darkness, with no other living soul around us. Talk about the land of vampires. Rather spooky. Google Maps still insists that this is the best route and Cluj Napoca lies in the end of this dark hole. We proceed. Mostly because turning back at this point would be a rather daunting task. Another 40-50 minutes pass watching the kms slowly tick in on the dashboard. There is silence in the car, as we sit in intense anticipation for what lies ahead. Another few kms and the map claims that Cluj-Napoca is so so close… Cannot wait! A few more meters and suddenly we come to an abrupt halt! 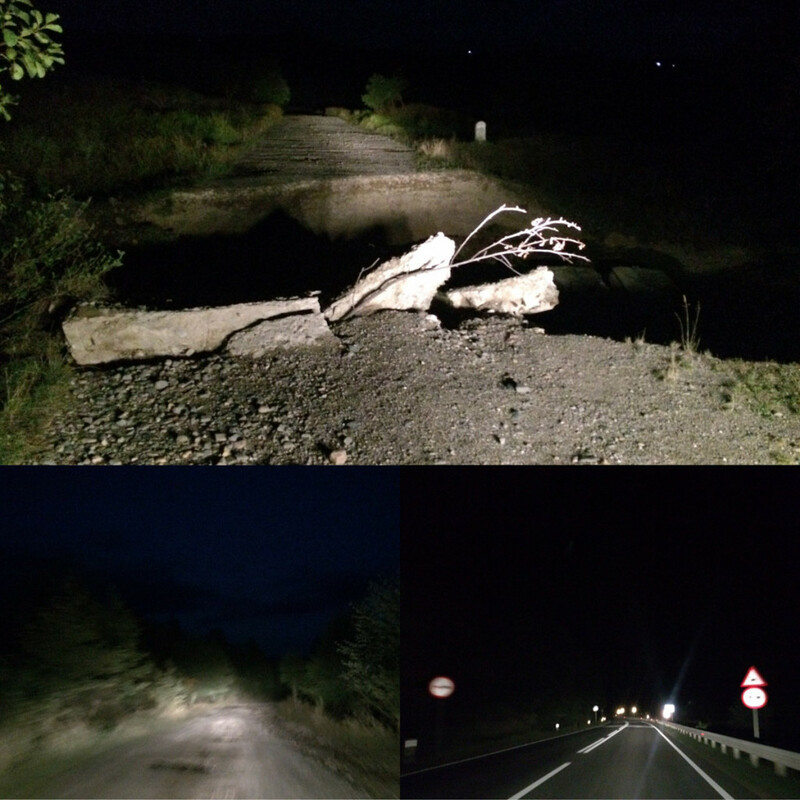 Our nightly adventures on the Romanian roads. A story to remember. No way, no freaking way (pardon my French)!!!! The road… there is no road… it’s been washed away… collapsed into a gorge… there is one big hole… impossible to drive over even if you are James Bond. Oh no bloody way! The only reason why the car didn’t end up in the hole was because of its big, beautiful, magnificent lights. We have no choice but to turn back. Turn back into the darkness, so close yet so far away from Cluj-Napoca and attempt to reach it by driving the slightly “slower” route as claimed by glorious Google Maps. We turn back. Sleeping by the side of the hole, in the middle of nowhere does not look too appealing. Another hour or so making our way through the darkness we reach one of the highways leading to Cluj. A deep breath of relief. The highway resembles a real highway. Smooth, beautiful, shining with signs and white lines. Oh thank goodness. We are back to civilisation. Reaching our destination becomes more and more realistic. It is way past midnight, we are way too exhausted, hungry and sleep deprived, but we are happy, ready to jump in joy, because we discovered the highway! Another hour or so on the beautiful road and we pull up at our home for the night. A church turned into housing complex! A step in and we discover it is a housing complex for elderly! Entering our room you could almost suspect time travel was a true thing. Hmm interesting turn of events, definitely the day couldn’t get any more adventurous. We are tired. It is way way past midnight, after ~12 hours on the road, more than 500 kms crossed even a mat on the floor would do the trick. Comprehending the full extent of our lodgings has to wait until tomorrow. Good night! 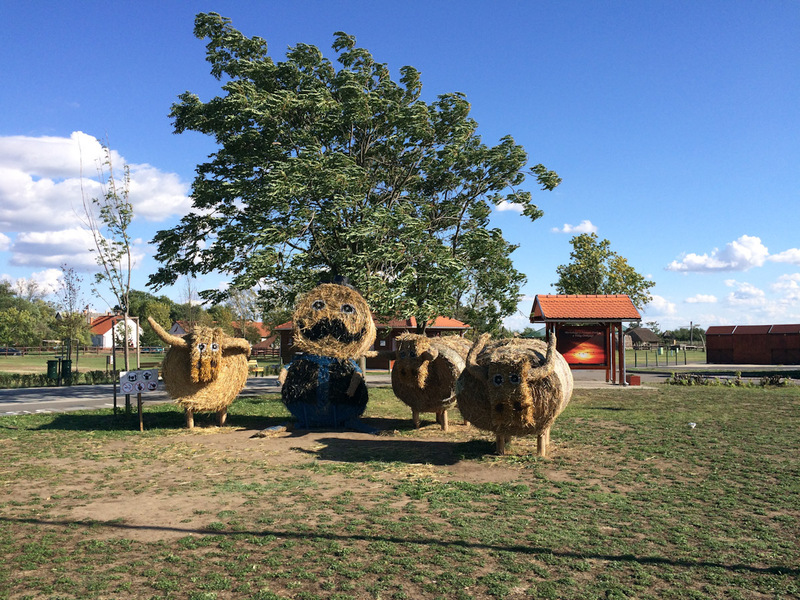 This entry was posted in AA on the road, Travel and tagged adventure, borders, cluj-napoca, depihayastan, driving in romania, eastern europe, eu travel, googlemaps, offroad, roadtrip, romania by Anulik. Bookmark the permalink.